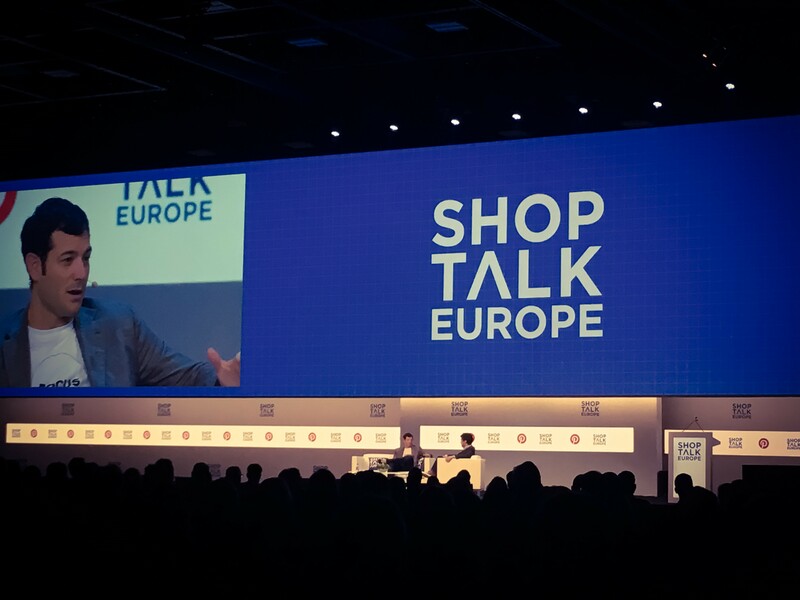 The inaugural Shoptalk Europe took place in Copenhagen from October 8th to 11th to discuss the latest trends and innovations in retail and e-commerce. A wealth of attendees from over 25 different countries participated in a format where start-ups, tech companies, brands and retailers congregated in the Danish capital to learn and share their experiences on how their companies are adapting to ever-evolving consumer behaviours and retail industry disruptions. 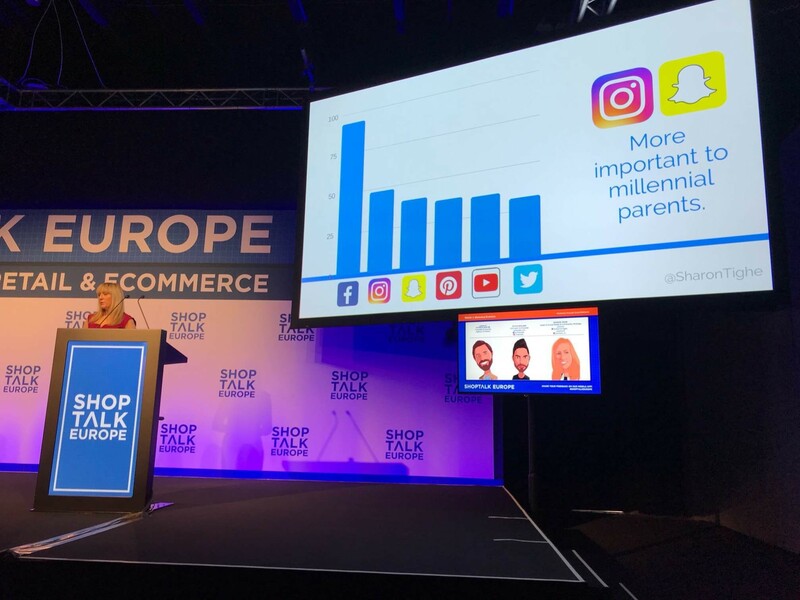 Head of Social Media & Community Strategy at eumom, Sharon Tighe, was speaking about the role of social media in ecommerce and the power of using authentic and visual messaging on the Marketing Evolution stage. She was joined by Pouya Boland of fast-moving fashion brand chiquelle.com & Patrick Martin, founder of Agency & Others. Keynote talks from Google, Alibaba and many more referenced Artificial Intelligence and machine learning. Multiple speakers referenced Gartner’s statistic that by 2020, 85% of customer interaction in retail will be managed by AI and 30% of all companies will employ AI to augment at least one of their primary sales processes by this same time period. 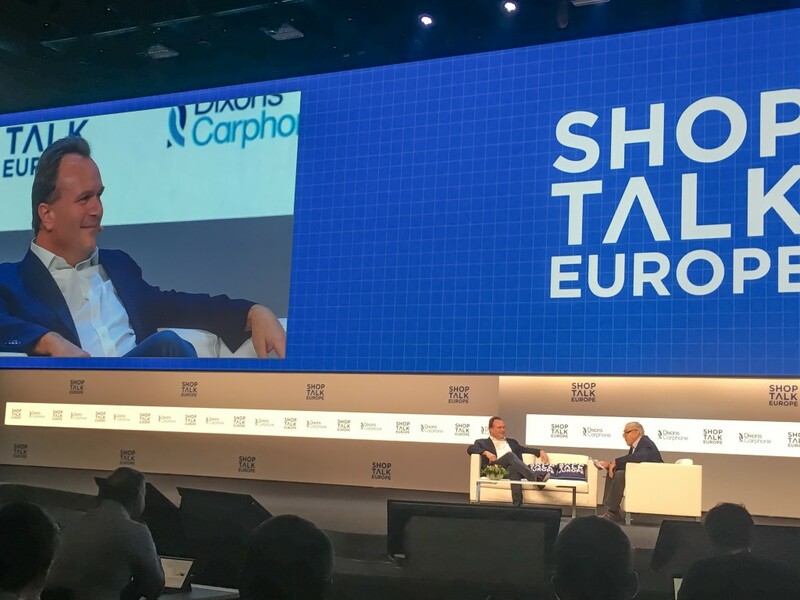 Ebay’s chief product officer, RJ Pittman said, “We’re putting AI front and centre as a driving force to make (smart commerce) happen.” He mentioned their Shopbot on Facebook Messenger, saying that AI is what will make commerce more personal, but also more scalable. Designer flash sales site BrandAlley, outlined how it works with a marketing automation company for persona-based targeting for personalisation in its email campaigns. This action led to a 16% conversion lift in BrandAlley sales. Another AI firm called Sentient Technologies demonstrated how providing 256 real-time website design variations for consumers of Swedish flower delivery chain Euroflorist, resulted in a 17% increase in conversions. These examples aside, there is a still a lot of work to be done in moving towards real, meaningful consumer personalisation. Many retailers still operate within legacy systems with mixed or ‘jumbled data’ making it difficult. Even the chairman of BrandAlley noted that although they have lots of personalised content along their customer journey, it’s not fully personalised yet. eumom’s Sharon Tighe showed how transparency and authenticity is key to building trust and loyalty in brand messaging and social media marketing. Speaking about reaching the family audience, which is responsible for 70% of all consumer spend, she shared that 70% of millennial parents say they have chosen not to purchase a product because they don’t believe in what the retailer stands for. It is worth noting that almost every new mom today is a millennial in the 20 to 34 years age group. 74% of moms also say that they will pay more attention to ads that feature an image of a real mom rather than a model or actor. Social media, maybe more so than any other form of marketing at the moment, can be personalised, targeted and delivered at the right time – and if done correctly will demonstrate that your brand understands its customer. More than 50% of consumers have no trust in big retail brands according to consulting firm, AT Kearney’s Dr Mirko Warschun who shared insight from two studies, one based on a global consumer survey looking 10 years into the future & the other reflecting on the thoughts of US consumers on the country’s 250th anniversary. Both revealed the clear shift from Affluence (traditionally growing markets and establishing social status) to Influence (the ability to instantly move markets through the amplification and reach of individual voices or communities.) He also demonstrated how 25% of new consumers actively look for retail brands that do good in the world while 26% will avoid brands who don’t. Trust, Influence and Personalisation are the three principles the mass market of the future will thrive on. As Google’s Ronan Harris said at the opening of his keynote, ‘Today’s consumers are more curious, demanding and impatient.’ One of the key factors behind the success of Chiquelle.com according to its founder, Boland, is its ability to deliver products from design to customer in two weeks. 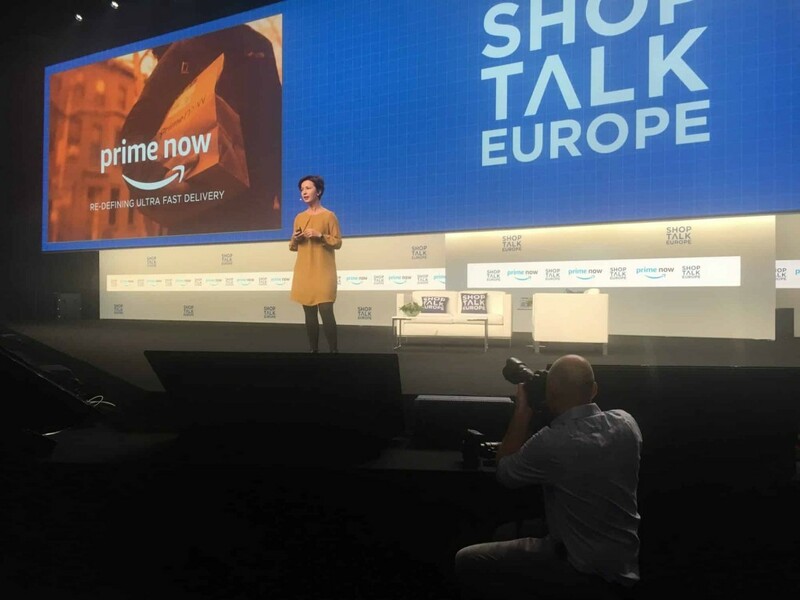 Mariangela Marseglia, Director of Amazon Prime Now, showed in her presentation how Amazon Prime was launched in just 111 days and is now represented in more than 50 countries worldwide. Today’s consumers expect more convenience and a range of delivery options, so last-mile fulfilment continues to be one of the most rapidly evolving areas of retail. UK-based Starship Technologies is using autonomous delivery vehicles for last-mile delivery. Launched by the cofounders of Skype, the company is operating in eight cities worldwide. The personal delivery device uses sidewalks and public spaces and is monitored by human operators who can take control at any time. The company focuses on groceries, packages and takeaway foods for deliveries within a radius of one or two miles. 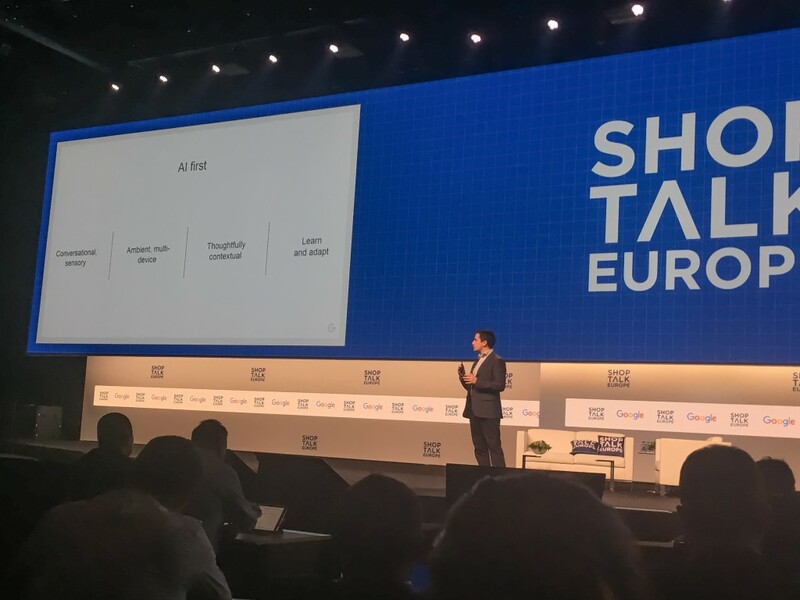 Damien Bon, CEO of Stuart, a French last-mile delivery company, discussed how consumers’ increasingly expect transparency, predictability and speed. Same-day delivery can increase conversion at checkout by 20%–30%, he reported, yet only 5% of retailers offer it. By 2020, 50% of searches will be commanded by voice and these types of searches are being dubbed ‘conversational commerce.’ Understanding how your consumer shops for products using voice, emojis, text, touch, chat or images will be essential for retail success in the coming years. This fluid, human-focused style should shorten the path to purchase and further remove obstacles from the sales funnel. Retailers who aren’t investing in chatbots, AI or search technologies will most certainly be left behind. Advances in visual search and AI technology, such as image recognition, have enabled consumers to discover products in a more intuitive way. Clarifai, a New York–based AI company, enables shoppers to drop an image in the search bar of their browser, to search for items that cannot be described easily in words. The AI-powered system also recognises and ‘learns’ images in videos in real time. Slyce.it, is another visual search tool which enables users to digitize and redeem paper coupons by snapping pictures of them. Slyce.it has helped customers snap pictures of products they want to buy and then identify relevant products on retailers’ sites. The company recently collaborated with Tommy Hilfiger to allow viewers to take a photo of a runway model and purchase the look instantly. Tim Kendall, president of Pinterest also professed that “the future of discovery will be visual.” Often mistaken as just another social media channel, Kendall reinforced the fact that Pinterest was not the place that people shared daily activities, for example. Unlike other social media channels, a massive 75% of its content is generated by businesses, not individual users. The platform is about helping users plan different aspects of their lives, such as homewares, cooking, fitness, life events, etc and the company intends to play an increasing role in the customer product discovery journey as well as monetize product marketing opportunities. Hudson’s Bay, Gerald Storch stated that today’s omni-channel experience allows for more than one hundred possible paths to purchase, and many of those paths still call for customers to visit a bricks-and-mortar location. From walk-in traffic to showrooming to ‘click-and-collect’, offline brand interactions can, and do, drive sales across every channel. While e-commerce may remain top of mind for retailers and fashion brands, physical stores can play an integral part —as long as they are a part of a larger, holistic strategy for unique customer experiences. The highly entertaining Sebastian James of Dixons, described how he plans to extend and enhance the online shopping experience by encouraging ‘Pause & Resume’ shopping, where the customer gets to experience the items in-store that they viewed online, and thus continue their research in store; ‘You looked at these products online, let’s show you them.’ Therefore enriching the current ‘Shop & Collect’ model. He also mentioned their Honeybee software, which allows a customer to walk out of the store with a new phone in 12 minutes and the importance of building loyalty and nurturing lifetime customers. In praise of offline stores, James highlighted that Dixons have 150 million face-to-face conversations every year and are massively better at ‘up-sell’ than Amazon or any other online retailer, in some cases 7 to 10 times better. Stephan Schambach, CEO of mobile retail platform NewStore, echoed this sentiment saying that shop assistants can use mobile devices to access customer and product information, enabling them to better assist in-store visitors. Better service translates into higher conversion rates, and Schambach noted that 90% of customers spend more when they are assisted by a knowledgeable store associate.